I wanted to highlight a sweet mini album tutorial that was posted tou our Flickr Mini Albums Group. This group is just another place that we have created for visitors and mini scrapbook makers all over the world to share their passion for making mini scrapbooks. This is a tutorial for this sweet summer mini album created by Alexandra over at Art Scrap And More. We have featured another of Alexandra's mini album tutorials and once again she has done a great job. It's a simple green fabric covered mini made with products you are bound to find in your craft box at home. You do have to pull out the sewing machine to make this mini but it will be worth the effort. So if you are after an nice mini to make for this coming summer then be sure to give this tutorial a try. Check out the Flickr mini album group for more mini album inspiration. Why not join our little Flickr group and show us what kind of mini album you're creating. I'm reading: Mini Album tutorial from FlickrTweet this! Alexandra's work is always outstanding! Let's keep the sharing going! Check out the mini-album I created in an altered mini metal lunchbox. Perfect for your Halloween memories. Shop for your <a href="http://www.homeandgardenwelcome.com/Scrapbooks-and-Paper-Crafts-s/1840.htm>scrapbook supplies </a>while you are there! Hi – Will you please post a link to your Blog at The Scrapbooking Community at vorts.com? Our members will love it. 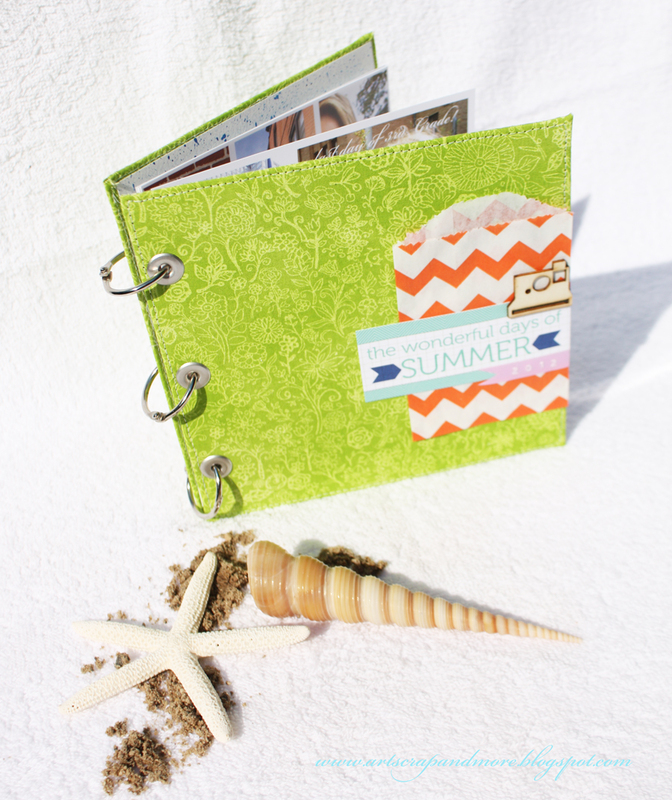 Members include: Other Scrapbookers, Scrapbooking Enthusiasts and Experts. It's easy to do, just cut and paste the link and it automatically links back to your website. You can also add Articles, Photos, and Videos if you like. Inspiring album. Everyone has uniqueness blogging and your work tickles my fancy.